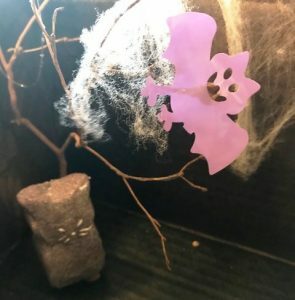 Scary Peeps are here!! 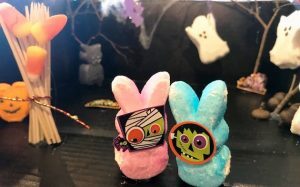 Enter your scariest Peeps creation and win!! 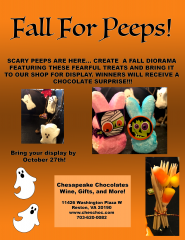 Fall for Peeps! 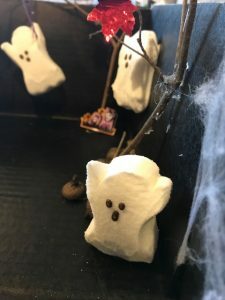 It’s our first Scary Peeps contest…create a fall diorama featuring these fearful treats and bring it to the store for display. Winners will receive a chocolate surprise! Contest runs through October 29th, 2018!